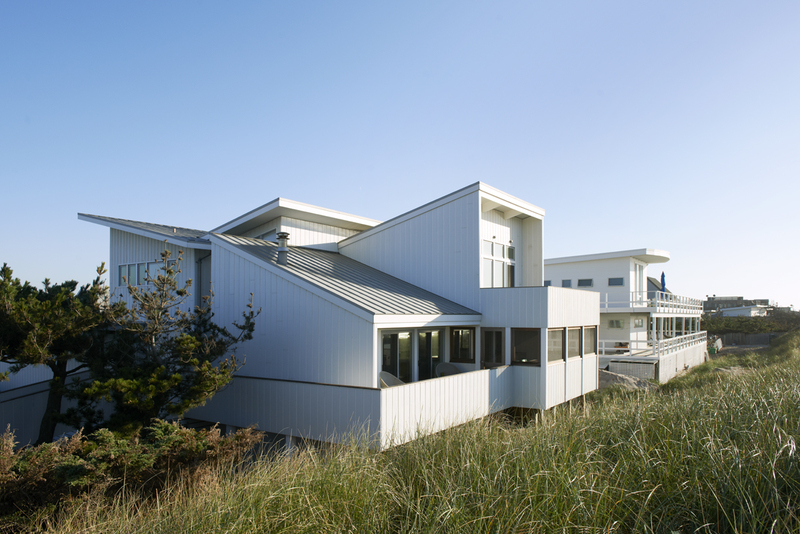 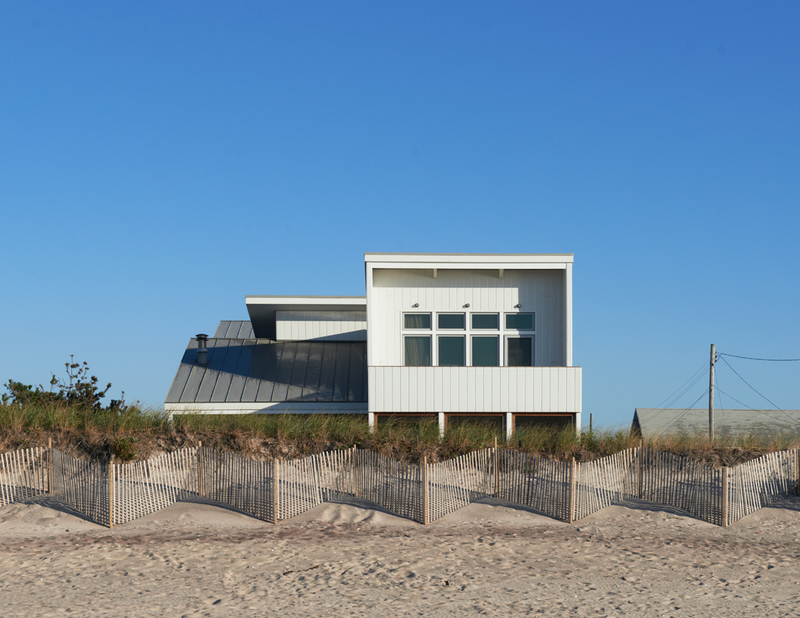 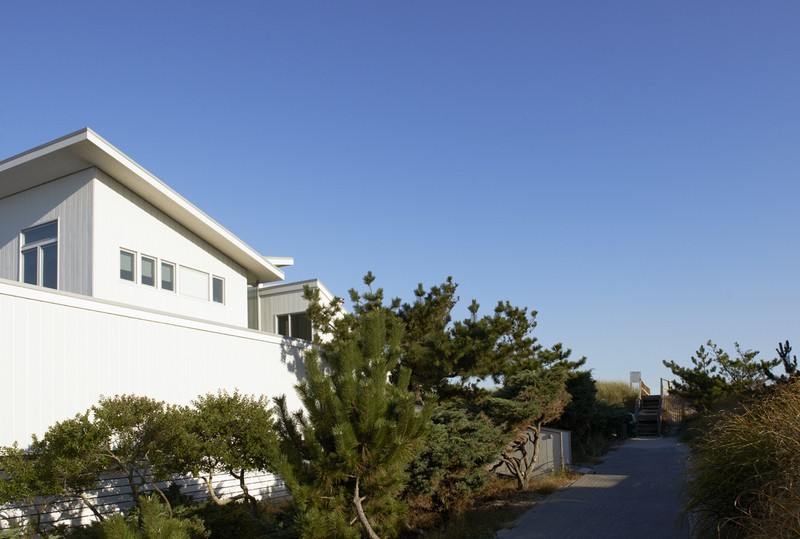 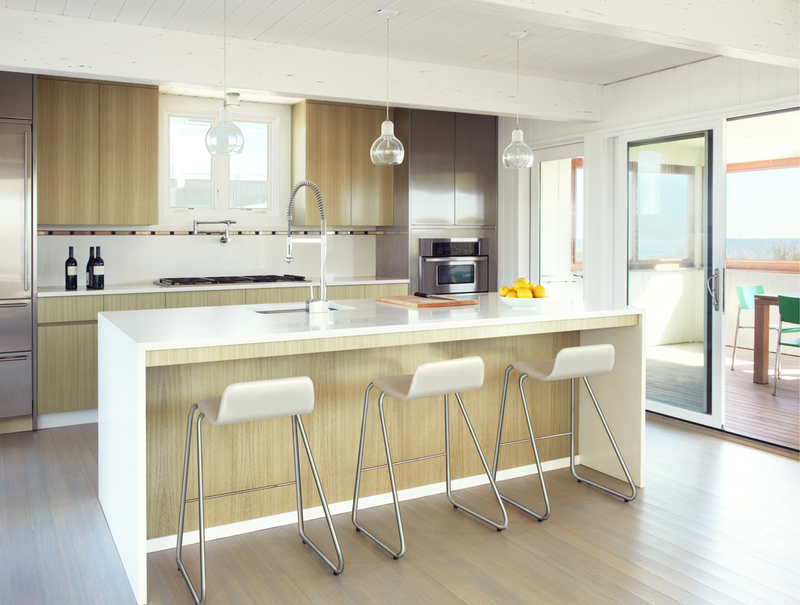 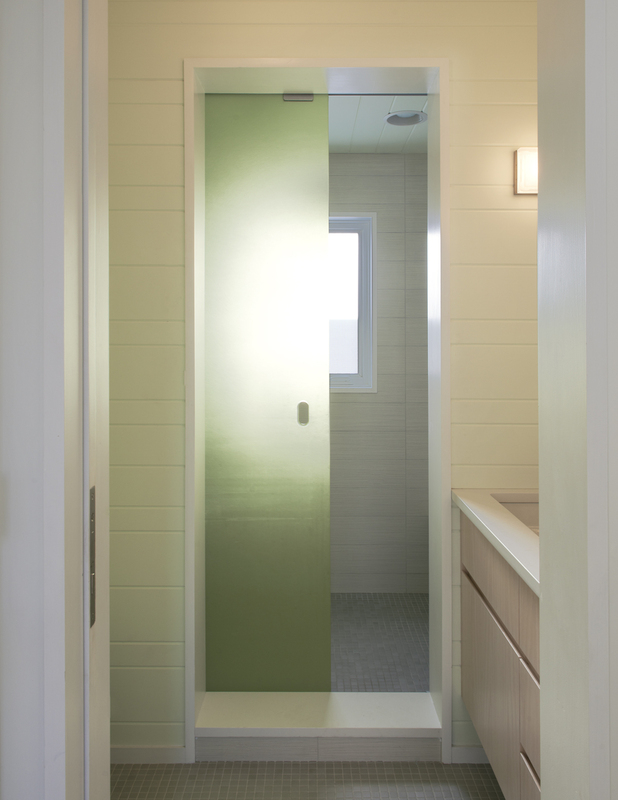 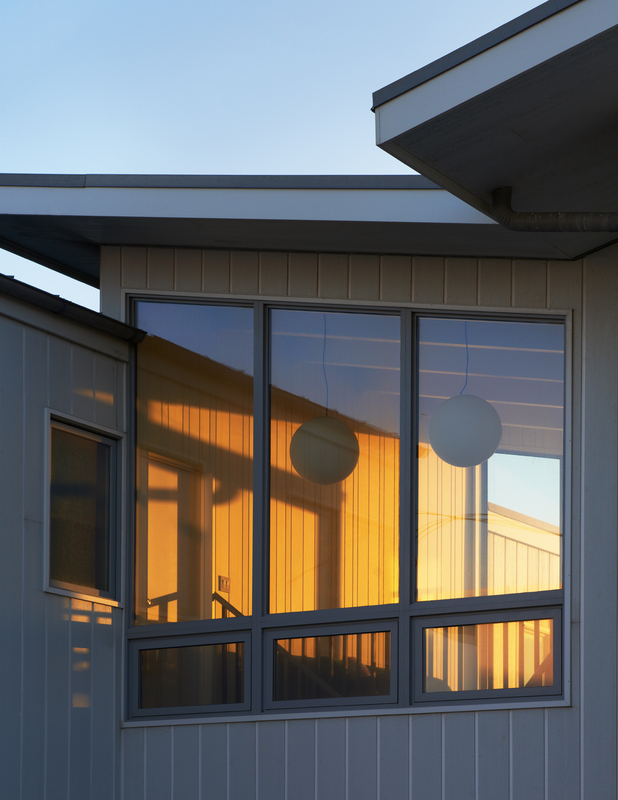 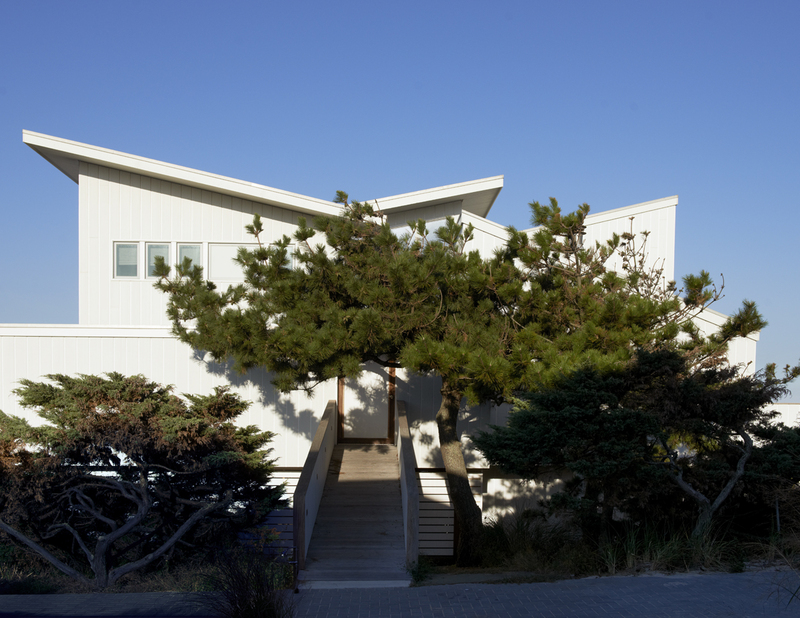 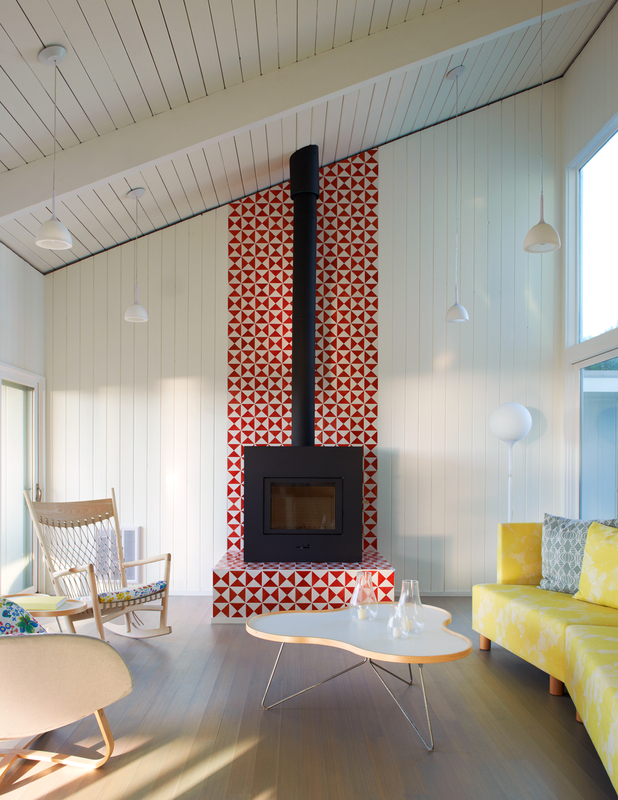 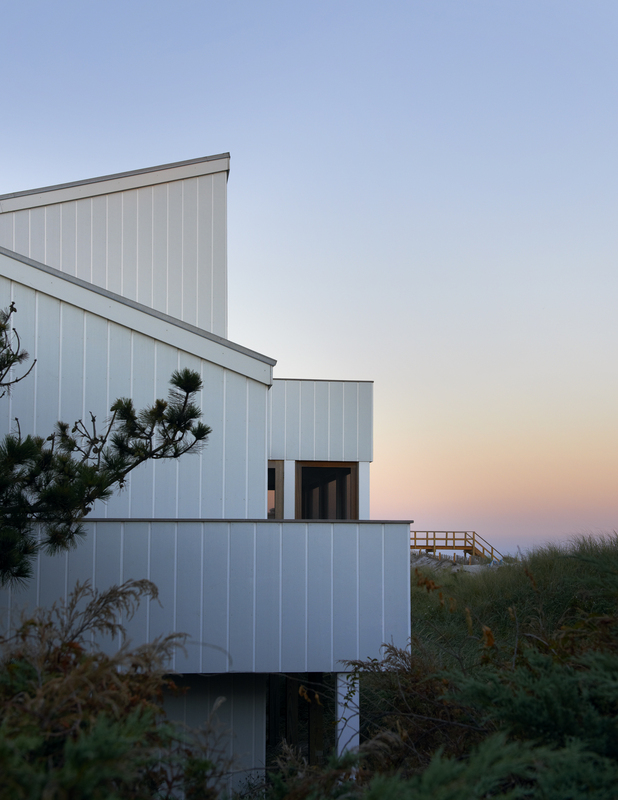 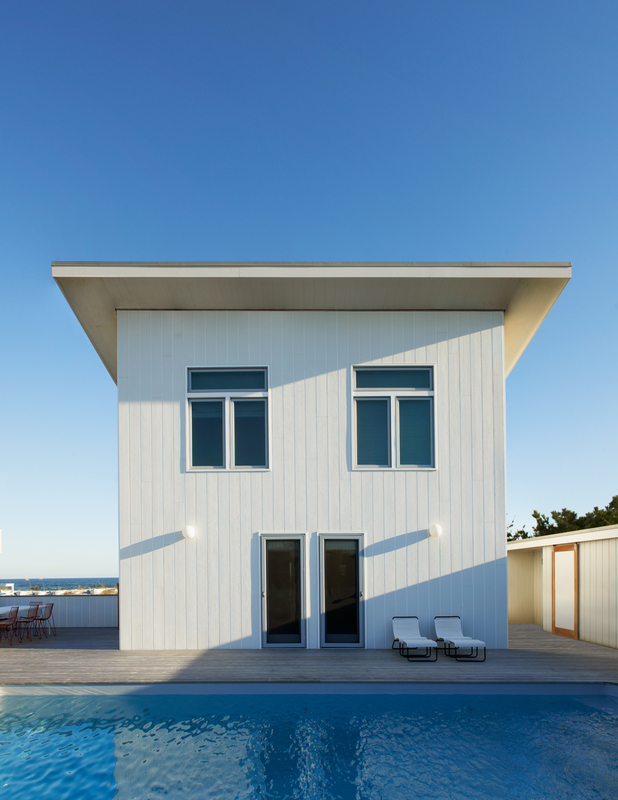 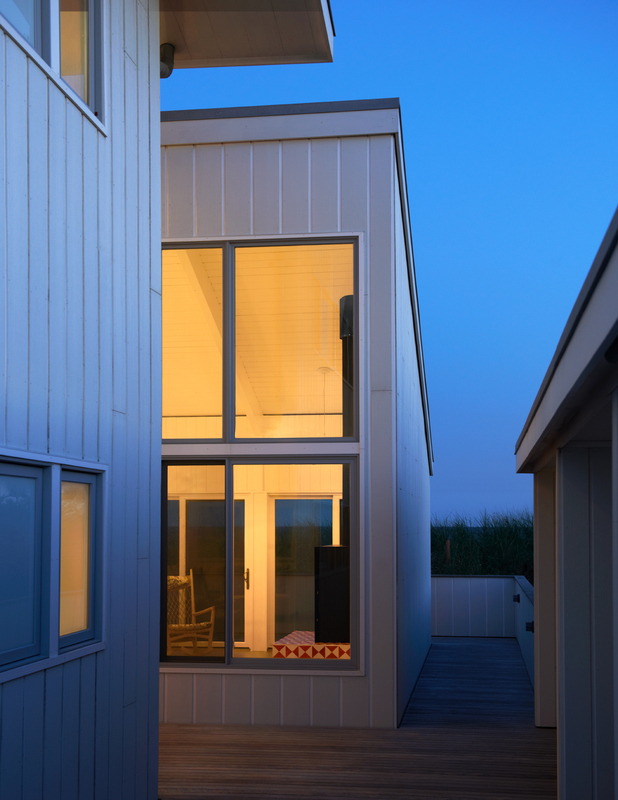 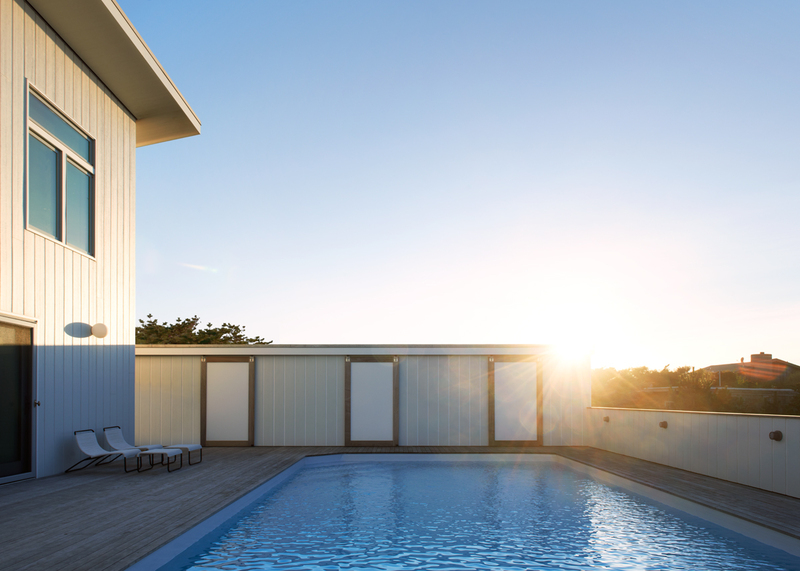 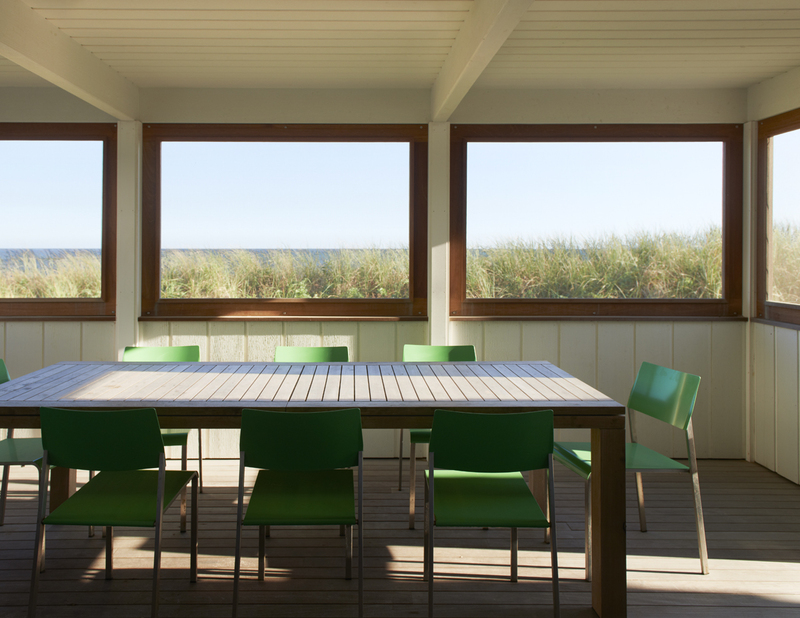 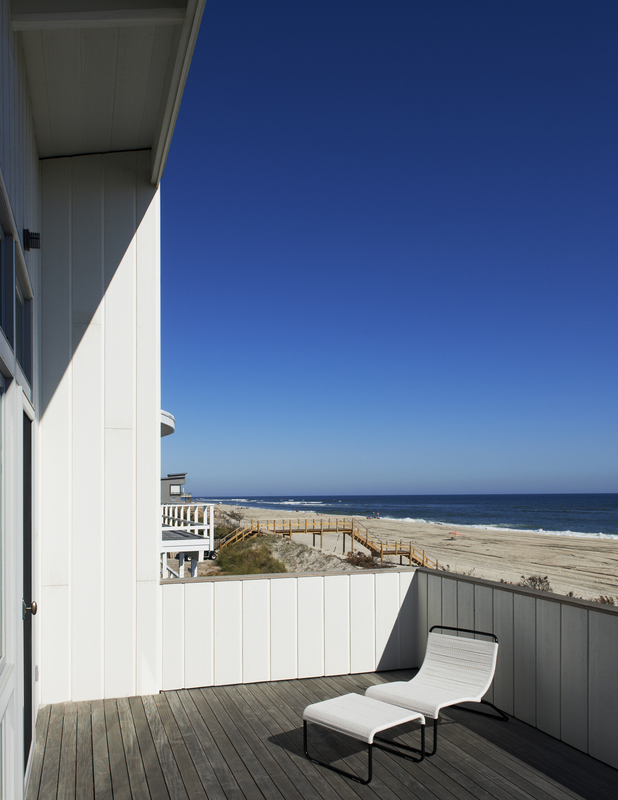 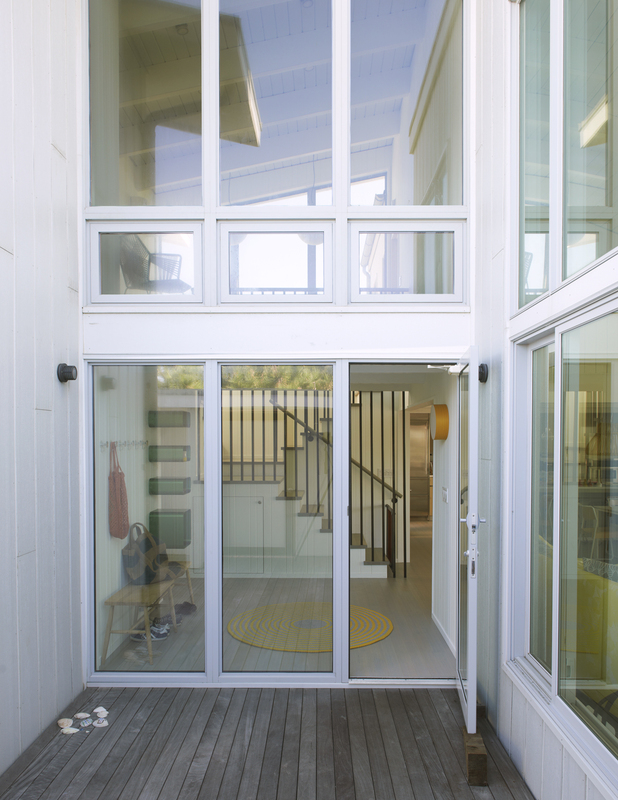 We completed this Fire Island beach house just before hurricane Sandy hit. 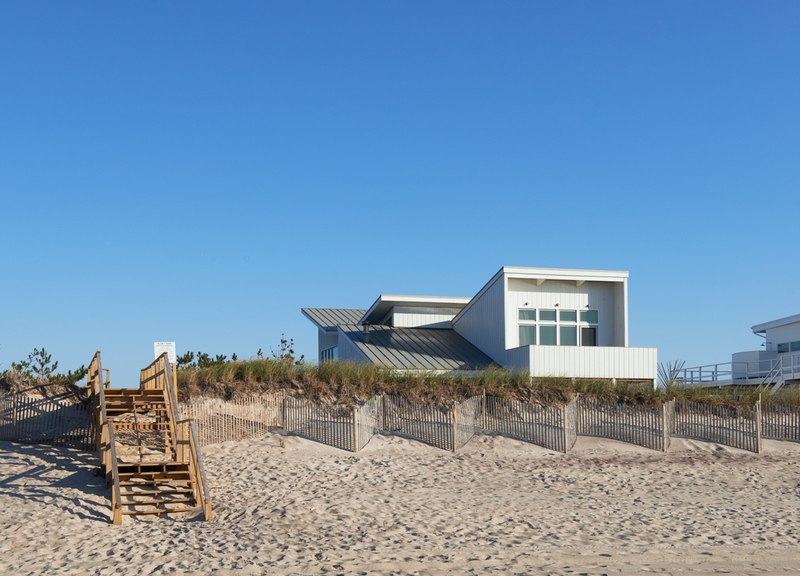 Though the house is only a few steps from the Atlantic, it rode out the storm unscathed thanks to our upgrades. 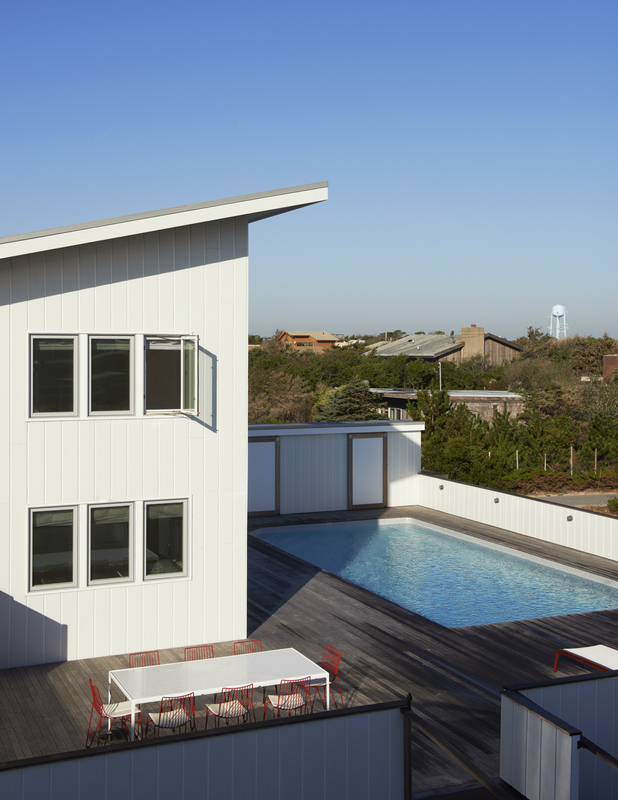 We opened the common spaces to a new deck and pool, raised on tall wood pilings. 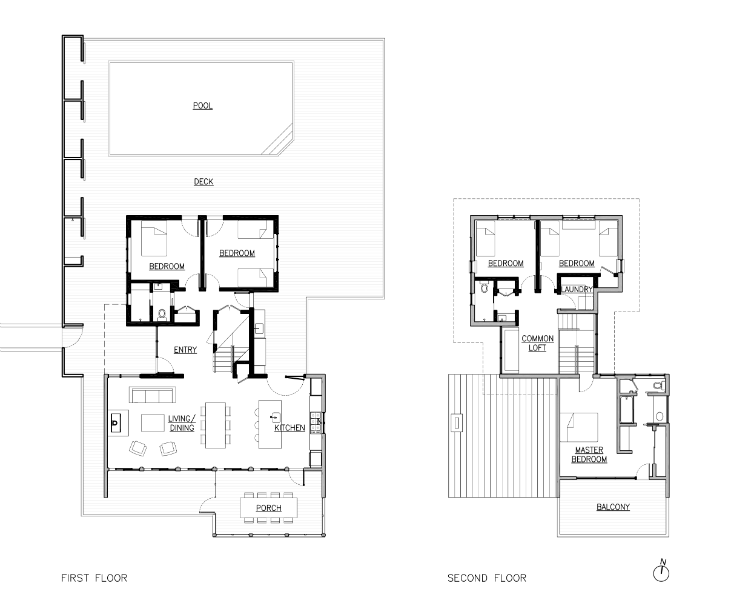 And we added a new wing to the second floor for extra bedrooms and bathrooms. 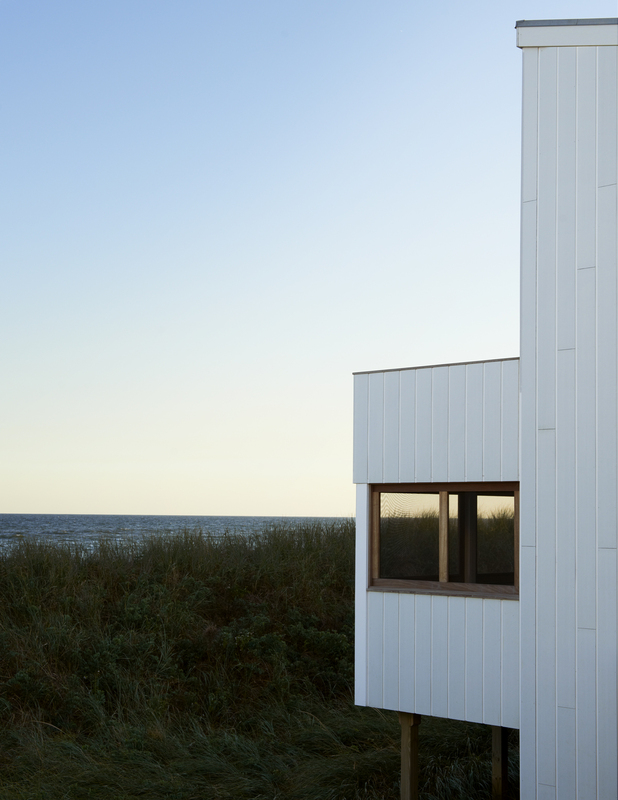 Then we clad the whole house in a hurricane-proof shell: vertical cement siding, rust-proof metal roofs, and projectile-rated windows. 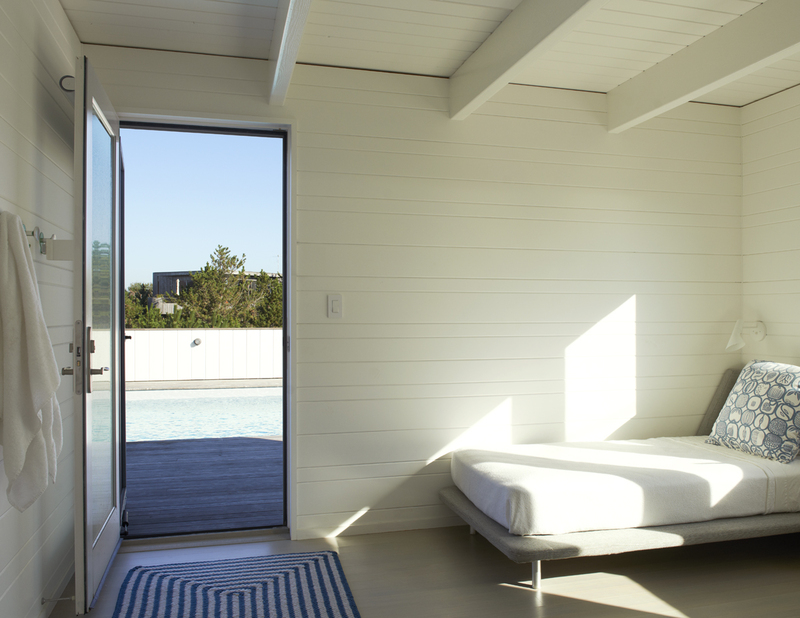 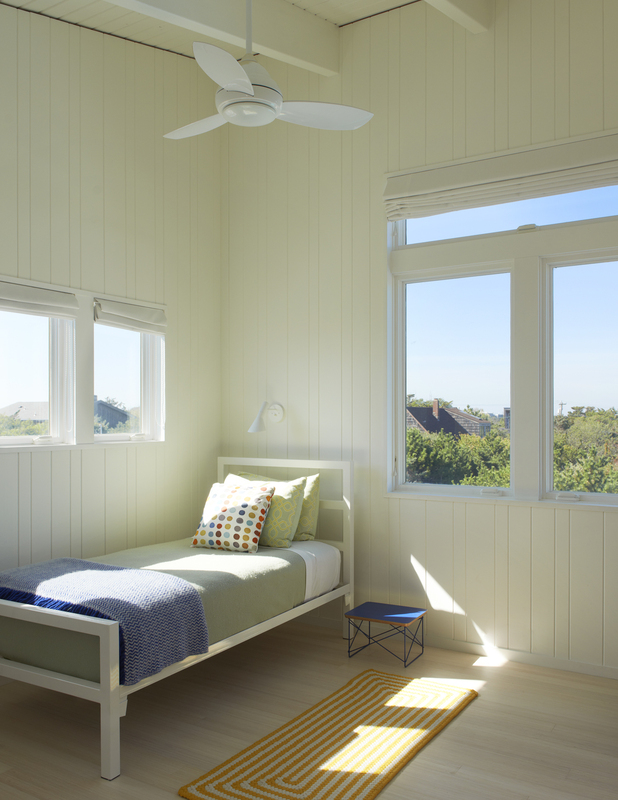 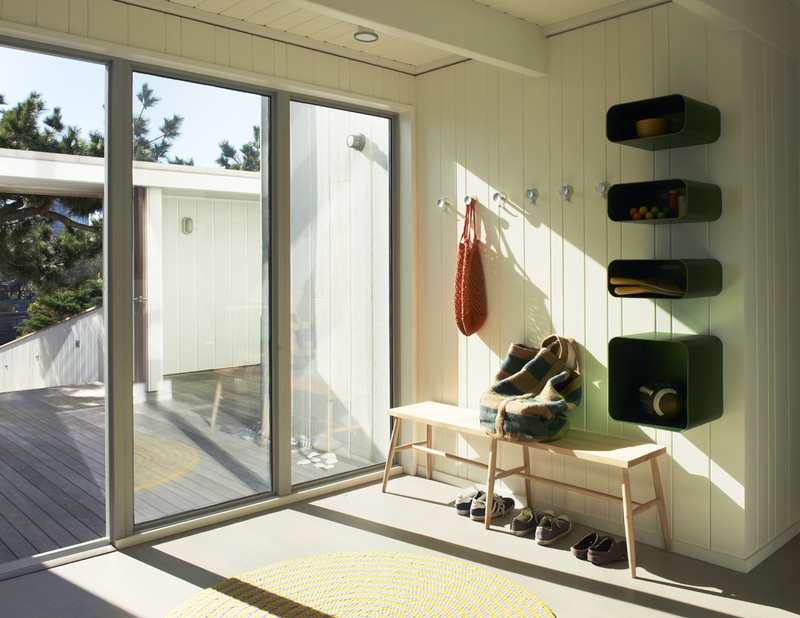 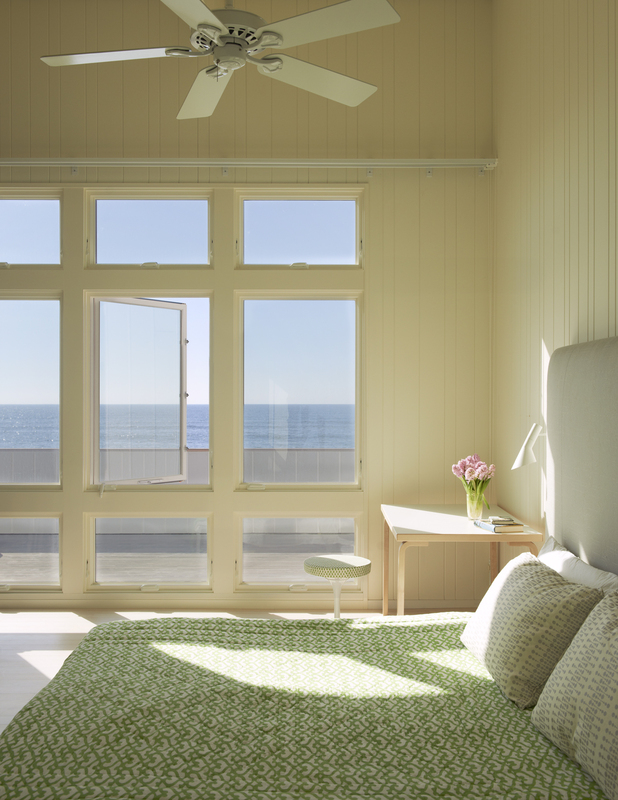 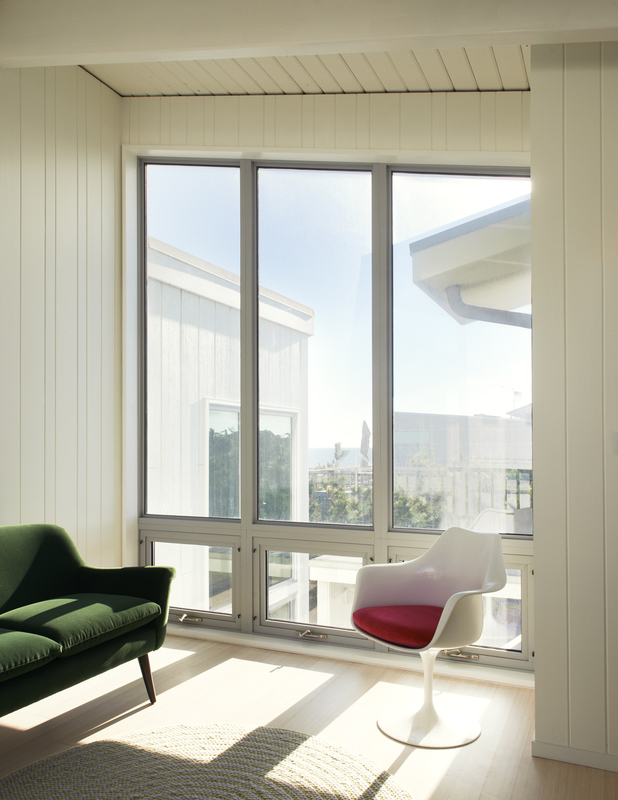 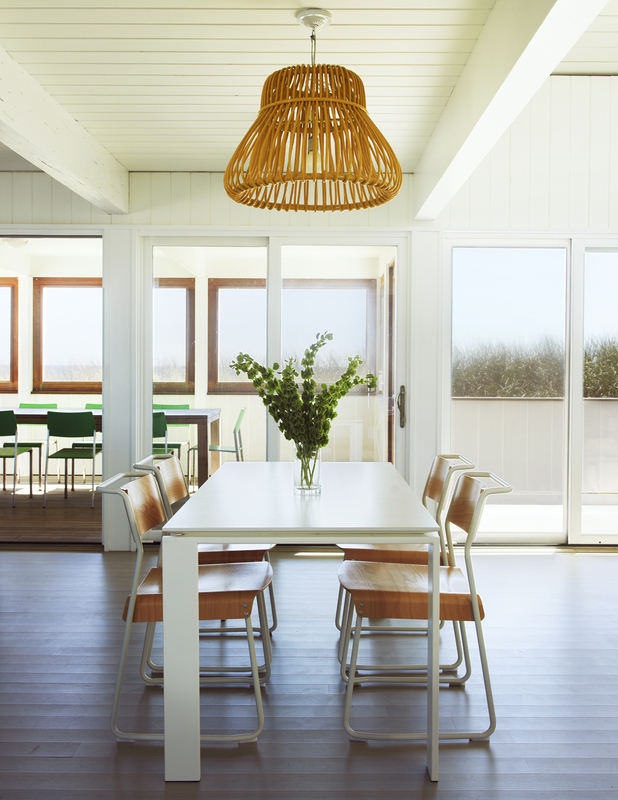 The interiors are all whitewashed fir boards and exposed beams, with windows positioned to receive ocean breezes. 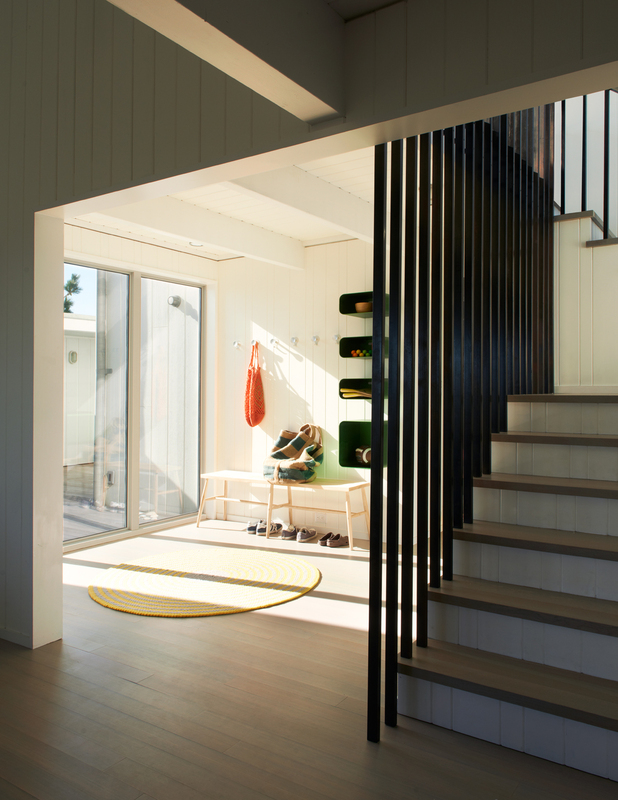 An open stair forks to the kids’ rooms on one side and to the master suite on the other.